Denis Murphy works with the Urban Poor Associates. I SAW two very different faces of the Catholic Church last Independence Day. In the morning, I went with thousands of others to the Folk Arts Theater for the kick-off of "Pondo ng Pinoy" [Fund of the Filipino], the centerpiece of the Manila Archdiocese's social action program. Most of the people there were young, and the music was theirs, including song and dance numbers by the Six Priests in the City group. The atmosphere was upbeat, joyful, optimistic. There was little talk of politics, good or bad, conflict, danger, struggle, oppression, heroism, risk or opposition. In the evening, I attended a ceremony in which Bishop Julio X. Labayen was inducted into the Bantayog ng mga Bayani, the Wall of Heroes that honors those who struggled for justice against the martial law government. Joey Ayala sang of old heroes. I sat so close to him that I could hear the notes echoing off one another in the guitar. Most of those present were older people, relatives of the dead who died in the struggle or friends of the bishop. Pondo ng Pinoy is basically a savings program to which rich and poor contribute. The money raised will be spent on the needs of the poor. Such saving, with the education and formation work that will go along with it, will help create a culture of unselfishness and love and help unite the different levels of society, speakers said. It will give dignity to the poor who will also contribute the 25 centavos a day the program calls for. It is supported by a theology Archbishop Gaudencio Rosales calls the "Theology of the Crumbs," after the parable in Luke's Gospel of the rich man called Dives and Lazarus, the poor beggar at the gate of the rich man's house. Bishop Labayen spoke of the tensions and heartaches in the Catholic Church of the martial law years, of the salvaged dead and the need he had in the 1970s to add a justice and peace desk to the National Secretariat for Social Action (NASSA) to deal with the mass arrests, killings and the wholesale abuse of human beings that took place then. There was danger and heroism enough for a lifetime.I remember how meaningful the Mass was then, including one officiated by the late Bishop Mariano Gaviola in the streets of Manila’s Tondo district with the poor of ZOTO who had tried to march for land and had been dispersed by the police. They came back discouraged, wounded, but the Mass gave them courage once again. No wonder, the Mass itself was born amid danger, intrigue, raw political power and courage. The theology most recognized by the Christians in those days was the Theology of Liberation, which motivated people to come together to struggle for their fundamental rights and needs. Its main parable was Exodus: God saw the Jewish people suffering under Pharaoh; He freed them and brought them to the Promised Land "flowing with milk and honey. "Martial law tore every institution apart, even the bishops' conference. "It's not easy to love the Church. You pay the price," Bishop Labayen said. He was referring to his rejection by many bishops who wanted him out of NASSA because they suspected he was leftist and "no longer a Catholic bishop. "So there are two faces of the Catholic Church. A friend said, "Pondo ng Pinoy is strong on theology but not so strong on sociology. The martial law Catholic Church was in danger of confusing the two." Not everyone would agree. Compared with the 1970s and 1980s, the Church now seems to ignore politics, and at least at the Pondo ng Pinoy kick off, it didn't speak much of the deeply entrenched injustices in society, danger and conflict. Perhaps the martial law Catholic Church had an excessive care for politics and to that extent, it forgot other dimensions of the Gospel. I remember, for example, how in 1970 Bishop Jose Maria Querejeta Mendizabal of the southern province of Basilan, who was then on the board of NASSA, begged the social action directors of the country's dioceses to include the words "Christian love" in their annual statement along with their denunciations of injustice. It was not included, if I remember correctly. It is of course the same Catholic Church, but why are the differences so great? 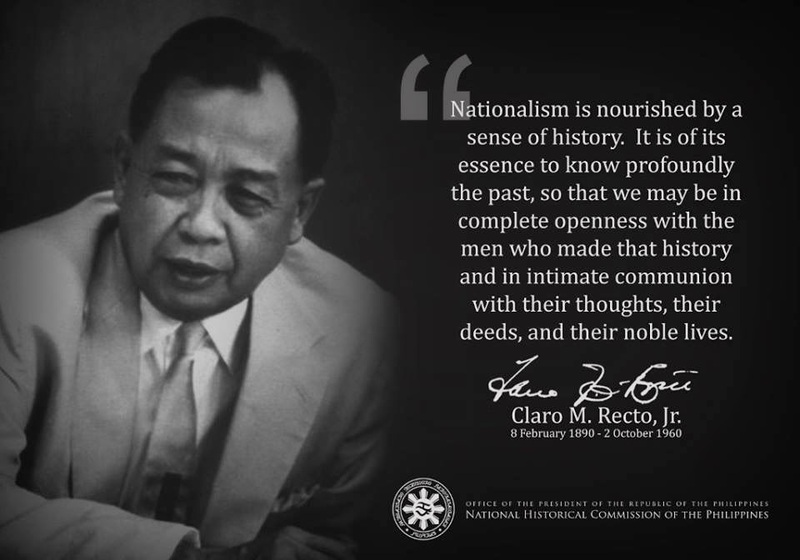 Has the church really meditated on the lessons -- good, bad and sad -- of the martial law years and built upon those lessons? Has the church gained over the years from all the sufferings an essential wisdom concerning poverty alleviation that it must cling to and act upon? Is there continuity or not? Perhaps the seeds of continuity are found in the decision of the 1991 Second Plenary Council of the Philippines to become the Church of the Poor. The martial law Catholic Church justly sees this decision as a vindication of its work, as was mentioned that night at the Bantayog ng mga Bayani ceremony.To be the Church of the Poor is clearly the No. 1 goal of the present church. The question is, what does this mean here and now in this country with so much poverty and injustice?